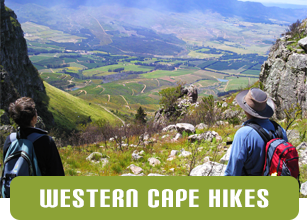 The Western Cape of South Africa offers some of the most spectacular and scenic hiking in the world. Within an hours drive from Cape Town, close to the towns of Franchoek and Stellenbosch are a number of pristine nature reserves with walking and hiking trails that offer something for everyone. Ridgway Ramblers offer a number of amazing half and full day hikes in these regions with transport available from Cape Town or we can pick you up along the way. Found near the historic town of Stellenbosch the Jonkershoek Nature Reserve offers rugged mountain walking with breathtaking scenery and spectacular waterfalls. The 17km long Panorama trail is one of the most challenging day hikes in the Western Cape area. Beginning with a long climb up to the neck overlooking the Assegaibos reserve and ending with the demanding Krooktrekkers Nek and then passing 2 spectacular waterfalls on the way back to your car. 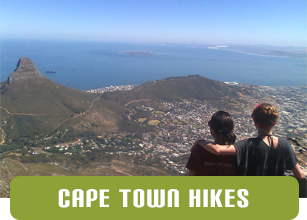 Highlights of this trail are the magnificent views as far as Cape Town and Table Mountain as well as the pristine flora and fauna of the area. For those not looking for such a challenging hike, it is possible to hike the 6km trail past 1st and 2nd waterfalls. Following the eerste river this trail offers the chance for swimming and relaxing along the way. Cost: R1500 per person. 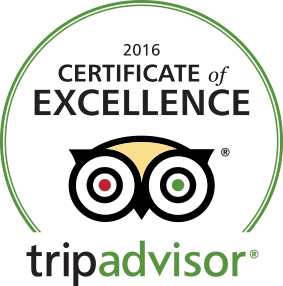 (includes entry to the reserve and lunch.) Transport available at no extra charge. Discounts available on groups of 3 people or more. Due to an increase in petrol price a single supplement will be charged for single persons booking. The Helderberg Nature Reserve is found in Somerset West only an hours drive from Cape Town. Situated on the slopes of the Helderberg Mountains, with breathtaking views of False Bay, the reserve is home to a spectacular array of plant and bird life. There are a number of possible hiking trails from short and easy strolls to a tough full day hike to the top of the peak itself. The views of False Bay and the entire Helderberg region are well worth the effort. Only an hours drive from Cape Town, the Mont Rochelle Nature Reserve found on the Franschoek Pass offers some unparallelled hiking opportunities. From a 2 hour relatively easy hike along the Uitkyk Trail, to the tough 7 hour Perdekop Trail. This is a beautiful reserve with pristine fynbos and wonderful views. Cost: R1500 per person. (includes entry to the reserve and lunch.) Transport available at no extra charge.